The ICTY Trial Chamber announced today its verdict in Prosecutor v. Ratko Mladić and has found the defendant guilty and sentenced him to life in prison. (The judgement summary, which was read aloud in court, is available here. I don’t see a link to the full judgement; if someone else has it, please provide a link in the comments below.) Although this outcome was widely expected by most court observers, the details of the decision merit some discussion. The Chamber then examined the specific intent of the physical perpetrators. The Chamber found by majority, Judge Orie, dissenting, that the physical perpetrators in Sanski Most, Vlasenica, and Foča, and certain perpetrators in Kotor Varoš and Prijedor Municipalities intended to destroy the Bosnian Muslims in those Municipalities as a part of the protected group. The Chamber then considered whether the targeted part constituted a substantial part of the protected group, and concluded that the Bosnian Muslims targeted in each municipality formed a relatively small part of the protected group and were also in other ways not a substantial part. Consequently, the Chamber was not satisfied that the only reasonable inference was that the physical perpetrators possessed the required intent to destroy a substantial part of the protected group of Bosnian Muslims. This finding is consistent with other cases where the ICTY has failed to conclude that the crimes committed in these municipalities amounted to genocide. But the genocide finding for Srebrenica was reaffirmed in Mladić. As for modes of liability, Mladić was found guilty of participating in four joint criminal enterprises. As far as I can tell from the court’s oral summary, the chamber convicted Mladić in each case of JCE I, meaning that the chamber concluded that the defendant shared the intent to carry out the crimes of the JCE (its objective). There is no reference to JCE III, i.e. liability for crimes committed by other members of the enterprise that fall outside the scope of its design but which were reasonably foreseeable. It seems as if the court felt it unnecessary to rely on the controversial JCE III, preferring instead to simply rest its conclusions on the more stable and secure JCE I theory. (If I have misread the judgement summary in this regard, please correct me in the comments.) If this is what happened, the court has preserved JCE III as a viable theory by removing an opportunity for judicial scrutiny of the doctrine at the appeal level. First, an Overarching JCE, which had the objective of permanently removing Muslims and Croats from Serb-claimed territory in Bosnia-Herzegovina, through the commission of the crimes charged in the indictment, including Genocide, Persecutions, Extermination, Murder, the inhumane act of forcible transfer, and Deportation. Second, a Sarajevo JCE, which had the objective of spreading terror among the civilian population through a campaign of sniping and shelling as charged in the indictment including through murder, acts of violence the primary purpose of which is to spread terror among the civilian population and Unlawful Attacks on Civilians. Third, a Srebrenica JCE, the objective of which was the elimination of Bosnian Muslims in Srebrenica through the crimes charged in the indictment, including Genocide, Persecutions, Extermination, Murder, the inhumane act of forcible transfer, and Deportation. Fourth, a Hostage-taking JCE, the objective of which was taking UN personnel hostage to prevent NATO from conducting air strikes against Bosnian-Serb military targets through the crime of Taking of Hostages, as a war crime. One question I have is the relationship between the “Overarching JCE” and the other JCE. This isn’t exactly spelled out in the summary and it will be interesting to read the full judgement to understand their exact relationship. Are the second, third, and fourth JCEs merely sub-components of the overarching JCE? Or are these overlapping JCEs? How should we understand their geometric inter-relation? 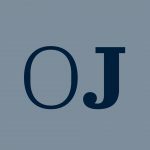 Furthermore, does describing one of the JCEs as “overarching” have some consequence for the application of the doctrine to the facts of this case? I would welcome thoughts from readers on this point. I also found it interesting that the chamber declined to give the defendant a reduction from a life sentence just because the defendant was acquitted on one count (genocide in the municipalities). Rather than looking at the significance of that acquittal for purposes of determining the appropriate sentence, the chamber looked to the significance of the convictions to determine Mladić’s blameworthiness. The appeal in the case will be heard by the Mechanism (MICT). Response…Jens, JCE III is being challenged in Ground 29 of Radovan Karadzic’s appeal where we argue it should be considered in light of the UK Supreme Court decision in Jogee. Actually, while the outcome in relation to the absence of genocide in the Municipalities is consistent with prior case law, the reasoning isn’t. Here the majority finds that the direct perpetrators had genocidal intent in the first place, whereas this is not the case in the Karadzic judgment.